Add all the ingredients to the slow cooker, except the dinner rolls. Set slow cooker on low and cook for 8 hours, or high for 4 hours. 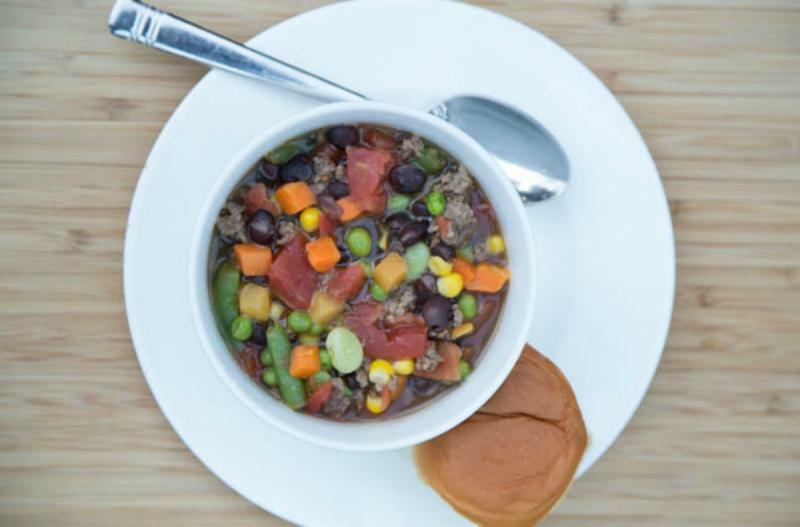 Serve Slow Cooker Beef and Vegetable Soup with dinner rolls. Put baggie in the freezer and freeze up to 6 months in fridge freezer or 12 months in a deep freezer. 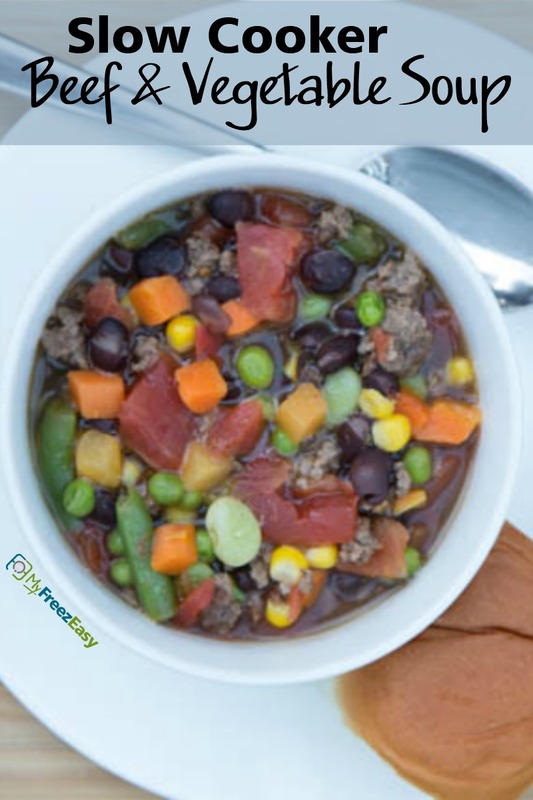 Thaw in the fridge overnight, or a warm bowl of water for about 20 minutes, before transferring to the slow cooker and cooking on low for 8 hours or high for 4 hours. Thaw and cook on low for 8 hours.